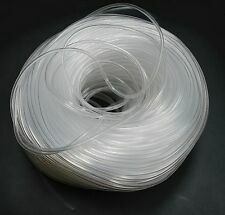 Tubing for ink line (4x2.5mm) (Medium Soft) for Solvent Printers. US Seller. 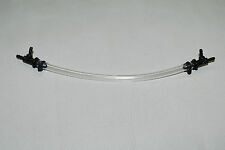 Roland Pump Tube with Connectors for Models: XC,XJ,SC,SJ,VP. US Fast Shipping. 30°,45°,60° design fits most of cutting plotter. Quantity: 15PCS Blades 1PC Holder. 15 x Blades for Cutting Plotter. 1 x Blade Holder. Material: Aluminum alloy (surface oxidation),Tungsten steel(blade). Plotter Holder Size: 45 29 11mm. 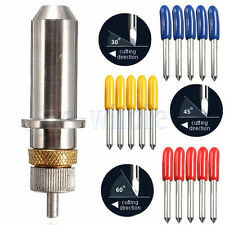 1pc x cutting plotter holder. Made of Aluminum alloy (surface oxidation), Tungsten steel(blade). 3 Angles: 30° (Blue), 45°(Red), 60°(Yellow), 5pcs for each angles. Blades is imported stainless steel, through the grinding polishing processing, high precision, good lettering quality. Compatible with Roland, Refine,Rabbit,Seiki ,Allen. Blade Rotary Blade Sharpener For Lawnmower Tool Parts Abrasive Grinding Tools. Available angles for difference condition:30 degree is for large designs, 45 degree is for general designs, 60 degree is for small and fine designs. 1 x 1.4M X 8mm Roland plotter layering. Note：Roland layering without adhesive. 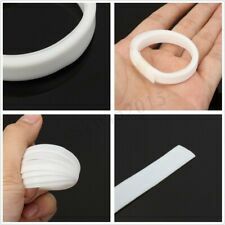 4,When the pressure of the new ones are not due to the pressure of the adhesive tape, it should be the first double-sided adhesive stickers in uniform layering tank, then layering paste flattened. Quantity: 15pcs. 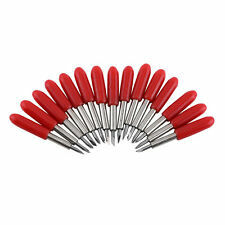 15pcs x Cutter Blades. Used for: Roland. 45° blades are the standard blade that used for vinyl cutters. The cutting blade quality is good with high hardness, greater strength, better abrasion resistance, high durable degree. Graphtec Cutting Plotter CE6000-40. Condition is Used. Shipped with USPS Parcel Select Ground. Good Shape. 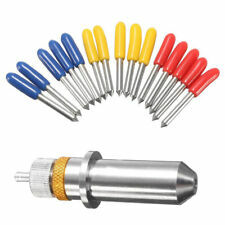 through the grinding polishing processing,high precision, good lettering quality.Higher hardness, greater strength, tip more sharper, cutting plotter lettering faster.Good wear resistance,no burr, not easy to rustMaterial: tungsten steelSpecifications:Handle diameter: 2mmOverall Length: 22mmAngle: 30 degrees (yellow), 45 degrees (Red), 60 degrees (blue)Each color was 5pcsFit for MIMAKI vinyl cutterPackage included:5pcs x 30 yellow)degrees blades5pcs x45 Red degrees blades5pcs x 60 blue degrees bladesNote: Light shooting and different displays may cause the color of the item in the picture a little different from the real thing. The measurement allowed error is /- 1-3cm. Brand Unbranded MPN Does not apply UPC 191466900949 EAN 1914. Used for: Roland. 45° blades are the standard blade that used for vinyl cutters. The cutting blade quality is good with high hardness, greater strength, better abrasion resistance, high durable degree. Remember that a low-cost Chinese cutter costing around $400 or less cuts vinyl as well as a $2000 industrial cutter. The software is the brain of your cutter and without it, the cutter is an useless heap of metal. Blades and Blade Holder for Gcc Plotter Vinyl Cutter / Wholesale From Factory. 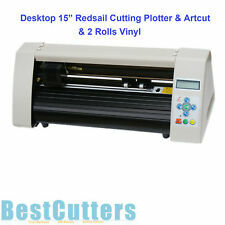 1 pc Gcc Cutting Plotter Blade Holder Vinyl Cutter 5 pcs 45 5 pcs 60. 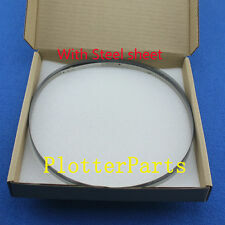 1 Pc Gcc Cutting Plotter Blade Holder. 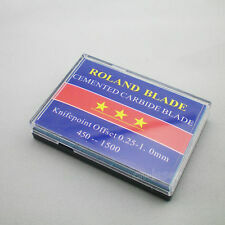 5 pcs 30 degree Roland Cutting Plotter Blades. T-Shirt designer. T-Shirt vinyl color palette. T-Shirt viewer. TheRhinestone feature is an amazing tool to personalize your design with real stones. Canon PRO-4000S imagePROGRAF Large Format Printer K10440 | Usage: 1770.3 Sq. Ft.